The FCC has been asked by DISH Network to put its consideration process on hold with regard to the pending acquisition of a majority state of Sprint by Japan-based SoftBank. DISH contends that the hold is necessary since it is competing with Sprint to acquire Clearwire, of which Sprint has long held a majority stake. Shortly after the announcement to be acquired by SoftBank, Sprint was infused with cash from a convertible bond redeemable to SoftBank. Sprint used that money to regain a majority share in Clearwire and a short while later, Sprint announced its intent to buy the remainder of the struggling operation to the tune of $2.97 per share. That deal was likely as good as done despite whatever protests from minority shareholders until DISH then tendered a competing bid which equaled $3.30 per share. Now, DISH has filed with the FCC arguing that the Sprint-SoftBank deal should be put on hold while the Clearwire deal is also under consideration. 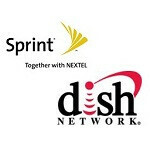 If the SoftBank acquisition is paused, it may give DISH the upper hand in acquiring Clearwire. If DISH were to succeed in taking Clearwire just as it is within Sprint’s grasp, it would give the satellite TV provider a jump-start for entering the wireless market while it builds out a new network with spectrum it was just given the green light to use. If the Sprint acquisition of Clearwire were to unravel, it would be interesting to see what impact it might have on SoftBank’s plans, since it is well known that Clearwire’s spectrum was a desired component of SoftBank’s strategy. For gods sake Dish. They already said that they werent interested in your money. Dish would probably bring them down. Well the current CEO is putting as much power as he can into LTE. He also gave out his personal number for complaints. Hes also fairly new. Im happy with this CEO and Sprint is one of the top three green companies in the US. The CEO of Sprint has done HUGE things for Sprint. They were HORRIBLE HORRIBLE HORRIBLE before. A lot more new lines now and MUCH better customer care, though this is telecommunications care we are talking about. Thank you for the story, Maxwell R. I hate to bust your chops, but it's "with regard to" - not "with regards to." Thank you, sir. This is one of the top reasons that PhoneArena is the best reporting site for mobile news.